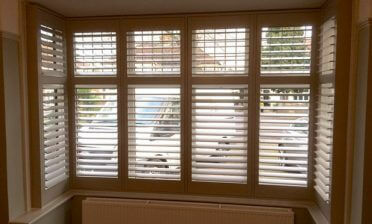 This client in Warlingham, Surrey approached us looking for some shutters as part of a recent redecoration of the home. 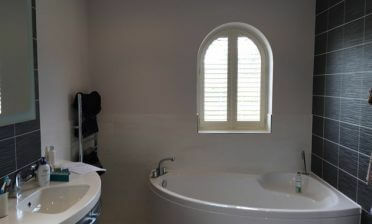 The customer was looking to have shutters as she wanted a window dressing which would not look worn out over time and a dressing that is easier to regularly clean. 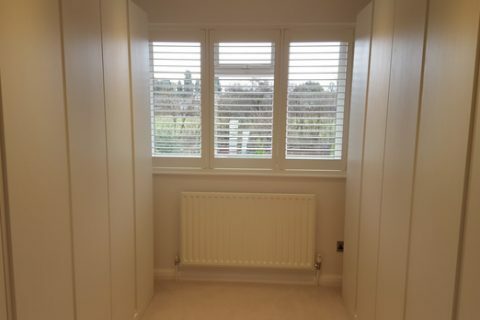 She was also drawn to the look and feel of shutters and the way that they would create a far less invasive look in some of the rooms such as the walk in wardrobe and hallways compared to curtains. 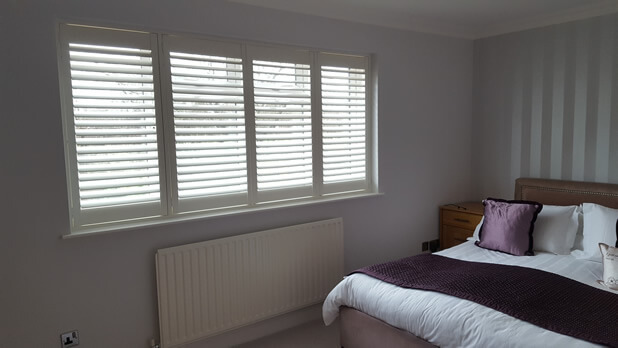 The shutters were installed by Mark and Mike, using a full height style throughout all the rooms and finished in pure white to match the pvc windows and surrounds. 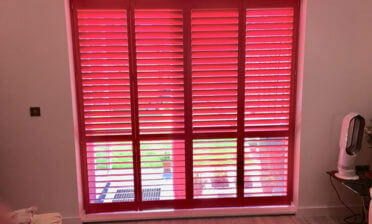 We used 63mm louvres to help maintain a good balance between natural light and privacy. 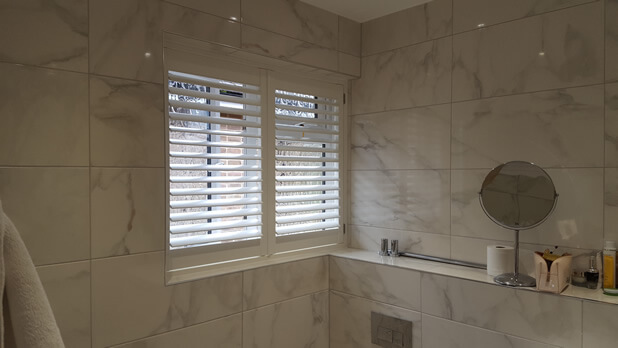 These shutters also feature a silent tilt rod system, which create a minimalistic look compared to visible tilt rods, yet the louvres can still be easily adjusted on each panel. 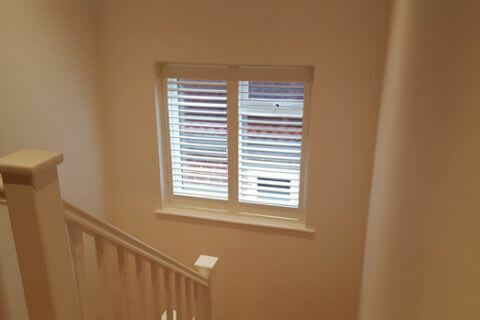 This style of shutters look great on modern detached homes such as this and great an elegant, modern look from inside and outside of the property.